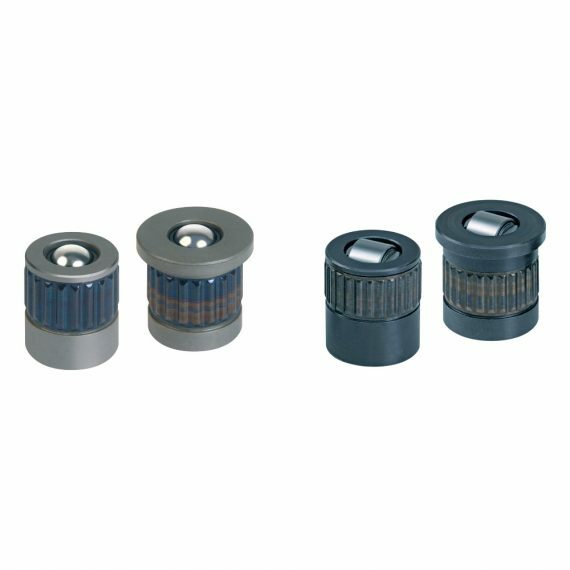 For installation in tables without T-slots: The spring-loaded ball and roller inserts are individually inserted into drilled holes. The function is similar to that of ball or roller bars with a spring pack. Max. load-bearing capacity: 2200 N, stroke up to 3 mm.